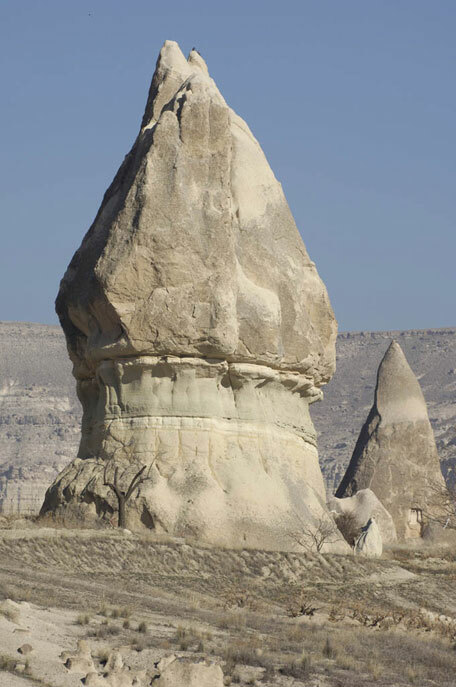 There is perhaps no site more arresting for the traveler in the Near East than the strange and enthralling landscape of Cappadocia in central Turkey. The beauty of this region is not so much natural as phantasmagoric, a surreal and incredible vision of rock shapes and colors that draws forth the epithet “lunar”! We explore the wide stretch of cones and smooth folds and find hundreds of monasteries and churches concealed within them, sites where Christian communities lived and prayed for the greater part of two millennia. Mesopotamia (The Fertile Crescent), the land between the Tigris and Euphrates Rivers, was the fertile river plain where civilization was born and where writing first appeared. We examine the earliest civilizations of the world created in this fascinating region. Members of our staff greet you at Atatürk airport and arrange for your transfer and check-in to your hotel. Our small group enjoys a welcome drink, introductions and then dinner. A short morning flight to Kayseri takes the group into the heart of Cappadocia. Upon arrival, a 60 minute drive takes us to our hotel where we check in and get ready for an adventure. Cappadocia: Erciyes erupted millions of years ago, convulsing the surrounding landscape with a torrent of lava, smothering hundreds of miles in what must have been one of the greatest upheavals on the planet. Later, floods, rain, and wind sawed away at the table of lava, creating deep valleys and fissures while molding slopes into cones and columns. Though the white dust from the rocks looks like sand, it is in fact much more fertile than the soil of the surrounding central Anatolian steppelands. 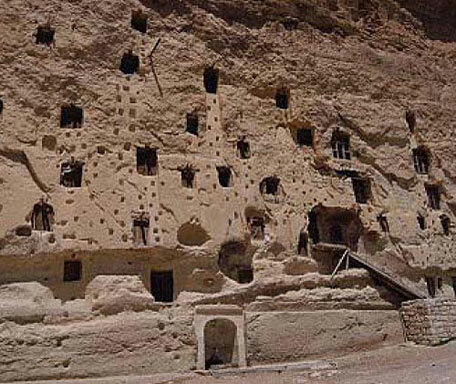 We drive to the underground city of Derinkuyu, estimated to have between 18 to 20 floors below ground level. Our guide leads us through the eight floors of the fascinating underground city that are open to the public. We next explore one of the most impressive hidden valleys of Cappadocia: the Ihlara Valley, ancient “Peristrema”. A fast flowing stream runs through this lush, deep green gorge, where Christian monks lived in hidden isolation, worshipping in their rock-cut, vividly frescoed chapels. Our next stop is Selimiye Village. Dinner is at a select local restaurant. Cappadocia is known for its wonderful wine, and “tandir style succulent clay pot casseroles of lamb, chicken or vegetables slow cooked in pit like ovens. 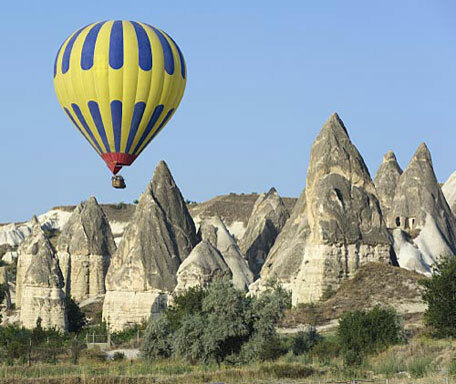 This morning, guests can choose to rise early for an optional hot air balloon expedition over the Cappadocian landscape. Soaring high above Cappadocia in the early light of dawn is an exhilarating experience! With a certified, professional pilot at the controls, the flight gives participants the opportunity to see the sun rising over the wide expanse of this amazing landscape. Participants then join the rest of the group for breakfast and the day’s sightseeing. After enjoying our breakfast, we begin the day with a walk through the Valley of Love which takes us to the Mirror Church, appropriately named for its symmetrical frescoes. We continue over the softly rolling hills to the Red Valley for a picnic lunch. From there we walk down to the old town of Cavusin via the Valley of the Roses, a gentle walk that lasts approximately 3 to 3,5 hours. In the afternoon our car takes us to a newly discovered (2002) archaeological site, Sobessos, once a wealthy Roman-Byzantine city dated from the 4th Century AD. This site has generated a great deal of excitement as nothing this significant has been found in this region before. The remains of a church, several tombs, a bath and Roman mosaics have already been uncovered. We then continue to the Keşlik Monastery located in a paradise-like green valley. Here we see the remnants of the Church of the Archangel, the Chapel of Saint Stephen, a huge communal dining area, living quarters and a pool of sacred water. Here is also a hiding room secured by two mill-stone doors that offered protection to the monks and their guests in times of danger. A secret passage and spy-hole next to this room also allowed one of the senior members of the monastic order to secretly listen in on their conversations! This morning we shall explore the Göreme valley and its churches (Tokalı and Dark churches are included), monastaries, and chapels. 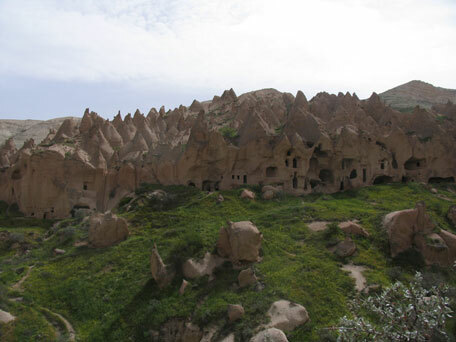 In addition we will visit Pigeon Valley and climb up to the natural rock citadel of Uchisar for the panoramic view. Then we continue to the charming town of Avanos, on the bank of the Kızılırmak River. Pottery is the most popular handicraft and it is usually possible to try your hand at making a pot in one of the many studios. Setting off once again we drive to the nearby “town of paintings”, Mustafapaşa, an ancient Sinassos town that once was mainly populated by a Greek speaking population. Due to strong business connections with İstanbul, Sinassos prospered and its citizens built themselves fine stone houses with wrought-iron balconies and elaborate ornamental facades. We visit the wine-house to taste the local wine in the town of Ürgüp. It is a successful wine-producing region, playing host to an annual International Wine Festival in October. Dinner is at our hotel. After an early breakfast we set off on a scenic drive to the Southeastern Anatolian city of Malatya. This was the place where Muslims and Christians joined forces in an unsuccessful defense of their town against the attacking Mongol hordes. We travel on to visit Aslantepe (Lion Hill) Tumulus where the oldest palace of the world dates back to 5000 BC. It was the capital of the Neo-Hittite principality of Kammanu. 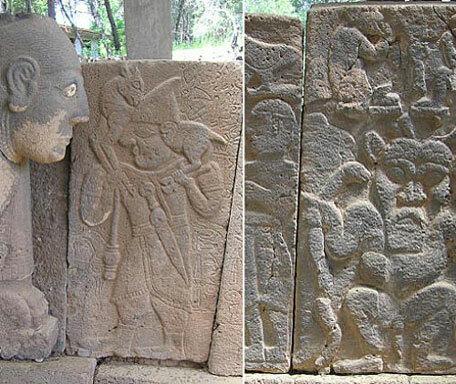 Very recently two exciting rock reliefs, 3000 years old, have been unearthed, depicting the two eagle-headed kings offering each other a peace wand. We then continue to Eski Malatya (Old Malatya), a Roman / Byzantine walled town located several miles outside the new town. We examine the most beautiful brick and tile work of an old mosque and admire the masonry talents. After enjoying a leisurely breakfast we begin our peaceful and quiet ascent to the top of Mount Nemrut. It is here the colossus of the gods of antiquity lie scattered at 7,000 feet on the summit. While we travel part of the way by car, the actual summit is approached on foot, with a ten minute uphill climb. The tumulus of Antiochus is astounding; here atop the highest peak in the region, with panoramic views in all directions. Antiochus I had his peons drag blocks of cut stone to build twin terraces facing east and west and lined them with massive statues of his favorite gods Apollo, Tyche, Zeus and Hercules. 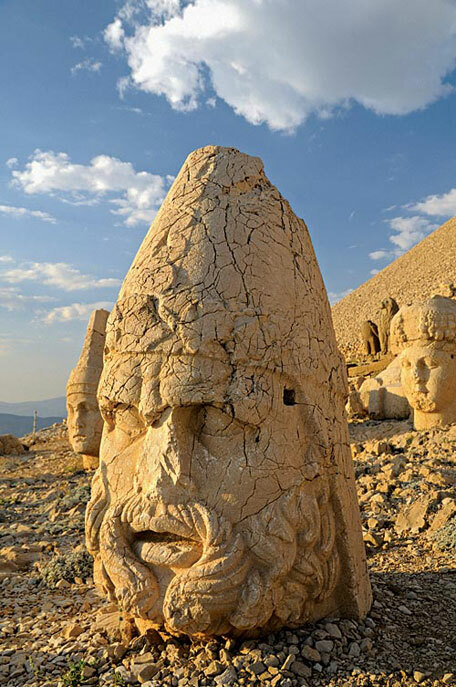 After marveling at the sculptures and enjoying the view of the vast valley below, we descend to visit the village of Hörik or Karadut at the foot of Nemrut. We then head back to our hotel for a well deserved dinner. This morning we drive through the lands of the Upper Euphrates and Tigers Rivers (Upper Mesopotamia) to Commagene country. This kingdom flourished for the briefest instant during the Roman civil wars when conflicts pitted Brutus and Cassius against the fragile coalition of Mark Anthony and Octavian. Like so many of the minor principalities of Asia Minor, the Commegenes were first crushed and then absorbed into the Pax Romana, before disappearing into the mists of history around the beginning of the Christian era. 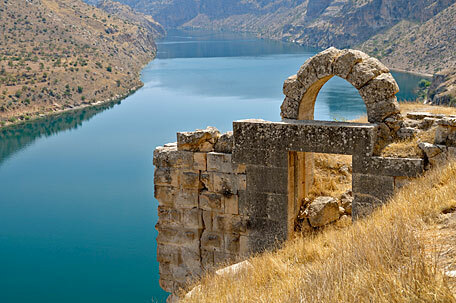 We visit Old Kahta, known in antiquity as Arsameia, the summer capital of Commagne and then continue on to the Cendere Bridge over the Kahta Cay, once known as the Nymphaium River, one of the major tributaries of the Euphrates. This bridge, with its 300 foot long single span, was built during the period of Septimus Severus with three of four original columns still standing. 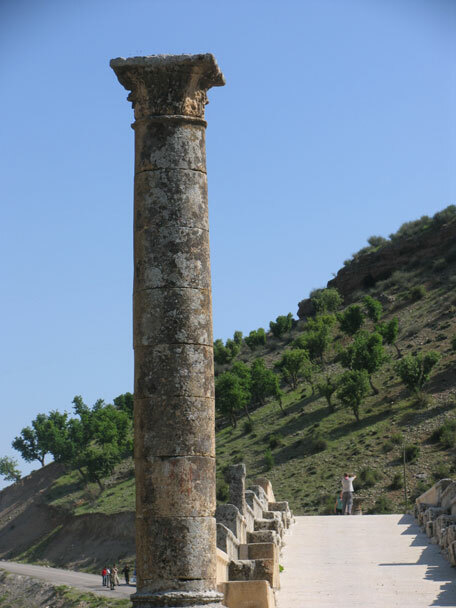 We stop at Karakuş, where several columns surround a large tumulus. An inscription on one of the columns states that the tumulus was constructed by Mithridates as the resting place for three female members of the royal family. We then visit the ancient city of Perre. Here there are substantial remains of an aqueduct, a fountain that is still in use, and a large Roman necropolis. Many of the 200 tombs are in natural caves. This morning we drive to Kasaba village and board a boat waiting to take us on our Euphrates cruise. The boat sets out for Rumkale (founded by the Assyrian king Salmaneser III in 885 B.C.) which looms into view as the highest point among the steep rock cliffs. Legend reveals this to be where the disciple John copied the drafts of the New Testament and hid them in this castle, where later they were said to have been carried to Beirut. As our boat plies the waters, the river too widens, as if to make way for the orange-yellow rock cliffs on either bank. When we reach Halfeti, dating back more than one thousand years and home to many early civilizations, it’s as if we’re in a coastal town of the Mediterranean. We say ‘goodbye’ to our captain and continue our journey towards the heroic city of civilization, Kahramanmaraş, Turkey’s ice cream capital! The recent archaeological discovery of the spectacular floor mosaics of the ancient city, Germanica will be visited with special permission. The Maraş mosaics, which adorned like fine lace, the villa floors of then prominent Romans, are sure rivals aesthetically with the mosaics from Ephesus and Zeugma. End the day with a leisurely stroll through the old streets and grand bazaar. Driving west of Kahramanmaras we enter the well-irrigated Çukurova / Cilician Plain (To get a better understanding of this area and its unique culture we highly recommend you read the novel Mehmet the Hawk, by famous Turkish-Kurdish author, Yaşar Kemal). The plain is the “cotton and grain basket” of Turkey, with vast stretches of the rich alluvial soil devoted to cotton and other cash crops. Two rivers, the Ceyhan and Seyhan, feed the plain with abundant water. The Cilician plain is also known as “The March,” for it has been a vital piece of real estate for millennia, and contested by every would-be conqueror of Anatolia, ranging from Xerxes to Alexander, the Arabs, the Armenians, the Crusaders and even the Mongols. We drive to the most outstanding ruins of Hierapolis - Castabala, set in the midst of cotton fields that are especially beautiful in spring when they are covered in wild flowers and skylarks. This ancient town flourished during the Hellenistic period and was later the capital of a semi-independent principality paying tribute to Rome. We walk along a colonnaded street which once boasted 78 paired columns. 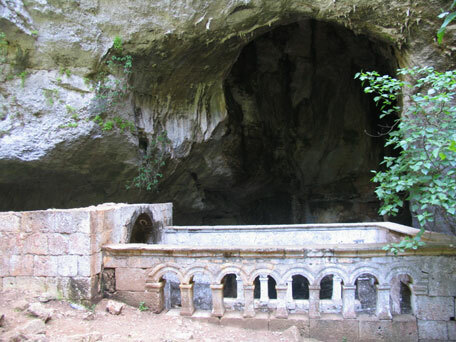 Continuing on with our journey we come to one of the most attractive sites in Cilicia, the Karatepe National Park. 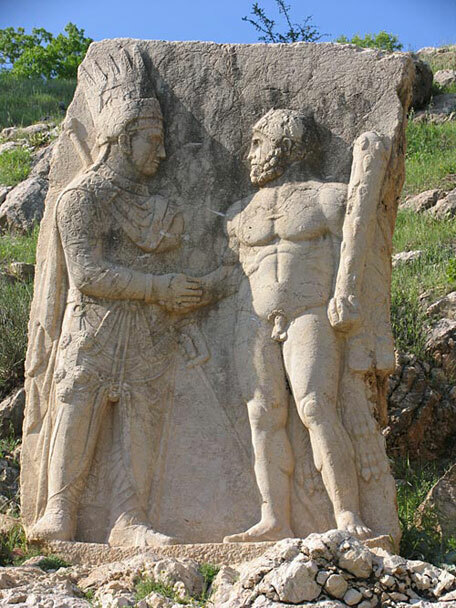 This park is the site of the Neo-Hittite capital of Karatepe and the location of the summer residence of King Asitawada. En route we see two castles; Yılanlıkale (Snake Castle built by the Armenians and crusaders in the 12th or 13th century) and Toprakkale (Earth Castle built of dark volcanic stone about the same time as the Snake Castle). This morning we make a pleasant detour to a Roman-Byzantine city, Anazarbus (Anavarza) charmingly set at the foot of a mountain. The remains consist of a Roman triumphal arch and theater, from which a stairway cut out of the rock, once lead residents to the upper town. The well-preserved fortress at the summit encloses a funerary church with traces of frescoes, built for the Cilician Armenian kings. 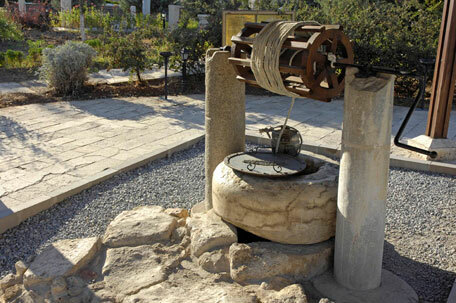 We then have a short drive to Tarsus, the birthplace of St. Paul. In the pre-Christian period, Tarsus’s major claim to fame was due to it being the site where Cleopatra seduced Mark Anthony following his victory at Philippi. He then had the Ptolemite Queen of Egypt brought here as punishment for the aid she gave Cassius. 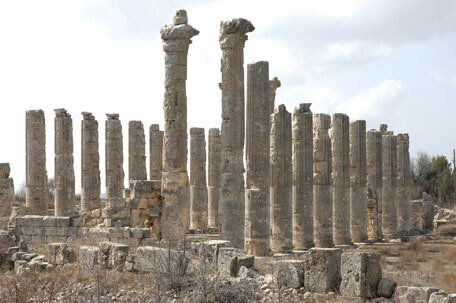 We continue along the Mediterranean coastline to Silifke, the ancient Seleucia ad Calycadnum. This highly interesting journey from Silifke leads us from the fertile plains of the Mediterranean littoral over the high passes of the Taurus Mountains to the wide, featureless steppe of Central Anatolia. We take the boat to the Maiden’s Castle, a refugee for pirates before being used as a fortress by the Romans, Byzantine, Armenians, Turcomans, and finally by the Ottomans in 1482. We follow the course of the Göksu River, where the Holy Roman Emperor Frederick Barbarossa was drowned as he led his army to Palestine. We visit Heaven and Hell (Korykos). Heaven, happily, is larger than Hell, with 452 stairs leading down to a chapel to the Virgin Mary. In the bowels of the grotto is an opening known as Typhon’s Cave, home to a fearful, scaly, fire-breathing monster. Just north is the gloomy pit of Hell, happily inaccessible, as both sides are concave. We then continue to Olba / Uzuncaburç, an ancient city, tucked high in the Taurus Mountains sunning itself in its past glory. The city - also known as Diocaesarea - is a stupendous conglomeration of Hellenistic, Roman and Byzantine remains. After checking-in to our hotel we enjoy swimming in the Mediterranean Sea. After breakfast, the twisting, winding road will bring us to the Alahan Monastery, the site of a remote Byzantine monastery complex of great beauty. The scenery here is stunning, and the monastery itself stands on a terrace overlooking the lovely Göksu Gorge, with wild mountains all around. 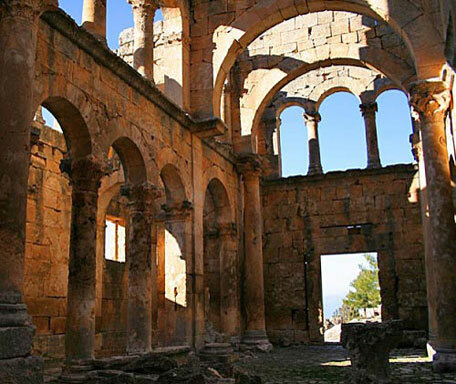 We shall make a difficult, but worthwhile excursion to Binbir Kilise (“Thousand and One Churches”), a monastic site on the lower slopes of Kara Dağ. A rough track leads to the remote valley where the churches are located. The site, which was first investigated by Gertrude Bell and Sir William Ramsey in 1905, was settled in the 4th century B.C. Occupied during Roman and Byzantine times, it was abandoned by most of its inhabitants towards the end of the 7th century A.D., when bands of marauding Arabs swept over southern Anatolia. After the power of the Arabs was curbed, a feverish bout of church-building commenced. Most of the churches and monastic foundations in the valley were erected during the next 200 years, but only their shells survive today. We still see the traces of frescoes on some of the walls. Architecturally the churches resembled the Syrain African basilicas. Because there was so little available wood, these churches were topped with stone domes. This morning we travel to the east of Karaman for a geological and cultural expedition to the authentic village of Taşkale. We then explore Karaman, the capital of a powerful emirate from 1277 until 1467, when it was incorporated into the Ottoman Empire. The Karaman region was inhabited for a long time by Turkish-speaking Orthodox Greeks who even wrote Turkish in Greek script. We then take a winding road that curves through mountain villages, apple orchards, abandoned mansions and forgotten ancient cities, as it winds up into the Taurus Mountains. We finally come to Ermenek, the ancient capital of the Karamanid Principality, the first state to adopt Turkish as its official language. Situated on a slope it was once used as a natural fortress. Due to its rugged terrain, it was known as “the place where wheels don’t turn”. This morning we visit the site of Anemurium, occupying the eastern flank of Cape Anamur, the southernmost point of Asia Minor, immediately opposite Cyprus. Here lie the remains of a modest Roman city, the largest of several located on the ancient road that traverses the coast of Rough Cilicia. The excavation was sponsored by the University of British Columbia under the direction of Prof .James Russell. 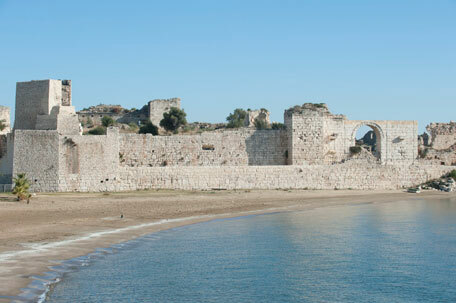 Nearby is one of the finest medieval castles in southern Turkey, Mamura Kalesi. We then drive along a road that climbs through terraced banana plantations that step resolutely down the cliffs into the sea. Between tiny coves jostling for space and acres of pine-covered mountains, mud-plastered flat roofed houses cling warily to the hillsides. Our next stop is the Alanya Castle. Perched 800 feet above the sea on one of the finest promontories of the Mediterranean, the castle affords us with dizzying views of the sea on three sides, and on the back offers a lovely outlook onto the orchard-covered foothills of the Taurus Mountains. We travel on to Antalya and gather together for our final evening and gala dinner party. After breakfast we take the morning flight to Istanbul in order for guests to catch their return connections. The walk from the domestic terminal to the international terminal takes only 15 minutes. The itinerary involves a good deal of walking. Good comfortable footwear is therefore essential. It should be pointed out that the tour might not be suitable for passengers who require assistance or who have difficulties with mobility. Please make sure you enjoy hiking, good local food (non-touristy local restaurants called lokantası) and cultural interaction. Peten Travels reserves the right to change hotel accommodations if required. Please note that any changes are usually UPGRADES and are also at NO additional cost. Also domestic flight and ferry times within Turkey are subject to change. Accommodation and meals as indicated in itinerary (B=Breakfast, D=Dinner). Some of dinners at the traditional select restaurants. Private boat rides on the River Euphrates and to the Maiden Castle.